Collect cards, build decks, fight other players and play through single player campaigns! Rise to the top in this fun and challenging online card game! 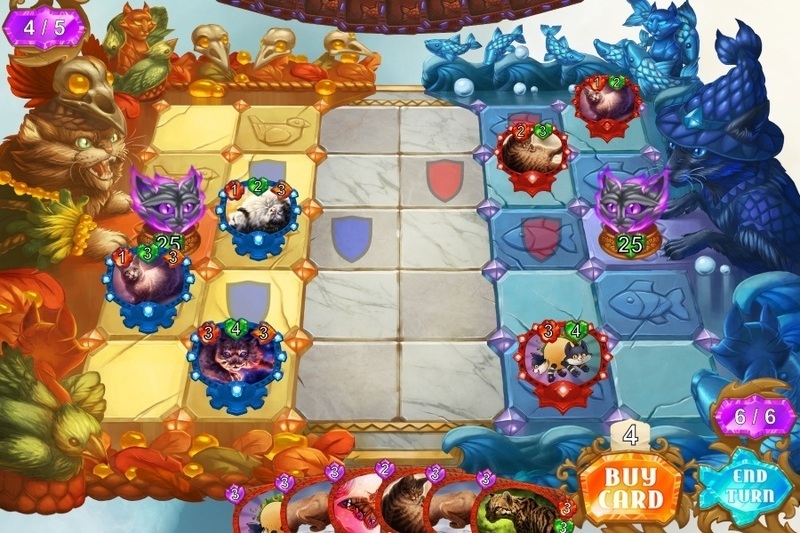 Summon an army of cats! Play creatures of mythical power! Users can now change their password on the website. 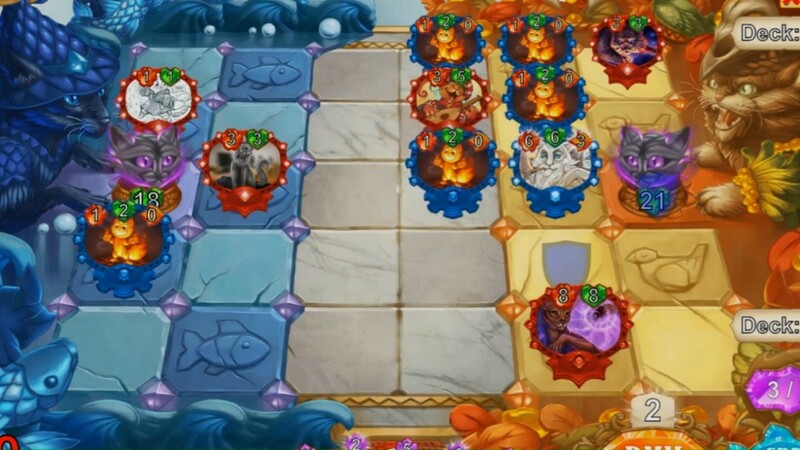 The computer no longer plays Kittenfire when the opponent does not have any units on the board. You no longer receive duplicate Mythic cards when opening a card pack, if you have not yet collected all Mythics. The Hell Campaign's final boss has been launched: Cathulhu! We've also added three new collectible cards: Deckard Cat, Meowses and Sparkles. 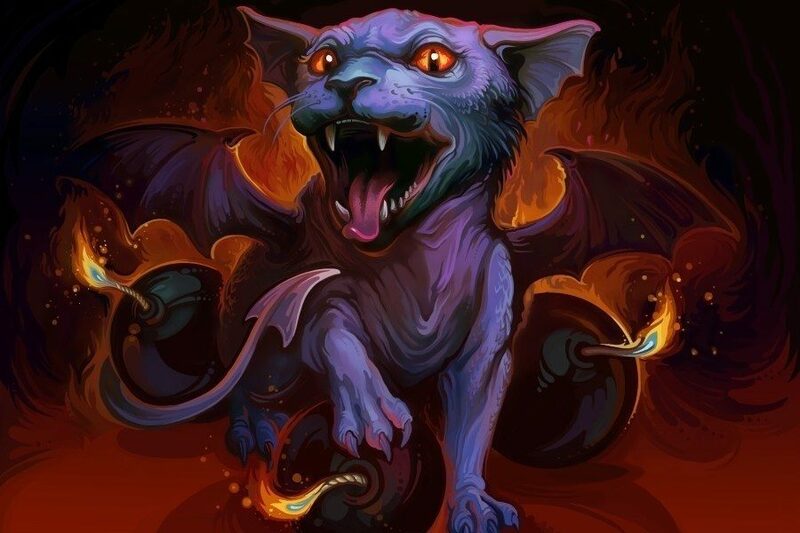 The Hell Campaign's fourth boss has been launched: Mewphisto! We've also added three new collectible cards: Hellblaze, Eerie Egg and Snarling Serval. 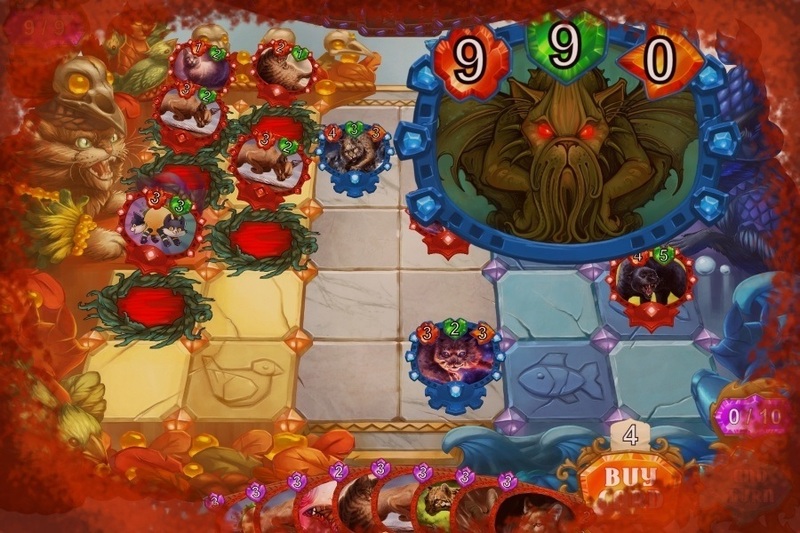 A bug with Enraged Munchkin not working correctly when summoned by a Christmas Elf has been fixed. The Hell Campaign's third boss has been launched: Explodor the Insane! We've also added two new collectible cards: Soul Split and Enraged Munchkin. Spending 15 minutes in the multiplayer queue now grants you 4 Coins. Other players now receive a notification when a player joins the multiplayer queue. The Hell Campaign's second boss has been launched: The Poison Princess! We've also added two new collectible cards: Black Rat and Lion Cub. The Hell Campaign's first boss has been launched: The Claw! We've also added three new collectible cards: Wounded Cat, Hellion and Growlguard. The new Intro Campaign is available now! This new Campaign replaces the old tutorial game. The lobby chat has been disabled, because it was barely ever used. Enemy cards that are destroyed because your opponent's hand is full, are now revealed before they are destroyed. The Friends System has been added! The Interwebz Campaign's final boss has been launched: The Intercat! We've also added a new collectible card: Tom Tomcat. 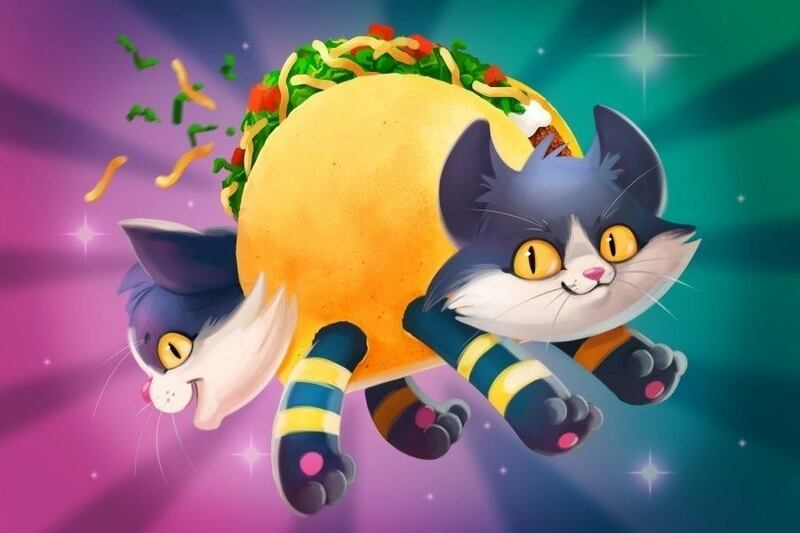 The Interwebz Campaign's fourth boss has been launched: Bill Cats! We've also added a new collectible card: Tiger Tech Raygun. The Interwebz Campaign's third boss is now available! We've also added 3 new collectible cards: Feline Firewall, Leet Cat Hax and Cyber Tiger. Three new collectible cards have been added: Purring Present, Christmas Elf and Santa Claws! Play 1 multiplayer game to earn a Purring Present. Play 10 multiplayer games to earn Santa Claws! This special promotion is available until Jan 6th. Happy Christmas! The Interwebz Campaign's second boss is now available! Two new cards can now be collected: Coffee Machine and Router. The Interwebz Campaign's first boss is now available! Also 3 new collectible cards: Cucumber, Glitch Kitten and Reset Cat. New content will be added weekly! 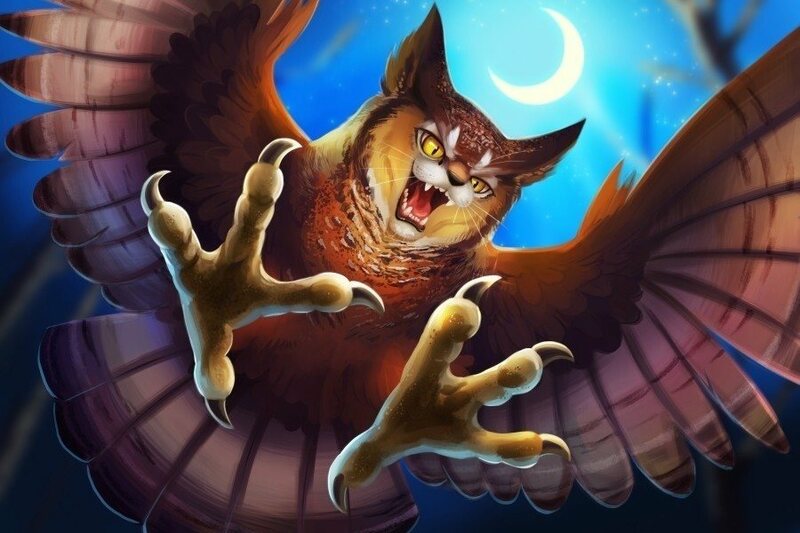 The Catamancer app has been released! You can download it for free for Android on Google Play. Catamancer is now live! We've also added a lobby to the main site. Catamancer will be launched on Sept 16! Check out the release trailer! We're nearing release! Read more on our Kickstarter update! The Closed Beta is now live! Read more on our Kickstarter update or on the forum announcement. The beta will launch on July 1st! Read more about this update. We've posted a new update about the progress we've made the past couple of months. The alpha forum is now open for anyone to view. This means everyone can now view the progress reports we post. The closed alpha is now live! We've posted an update about this and some new art. We've posted a new update about new art and the alpha planning. We've posted a new update about BGO rewards and the new art. The Catamancer Kickstarter has ended! We've received €3,894 via Kickstarter and €786 via Paypal! Thank you all so much for your epic support! We have revealed 8 new cards! Check out the Serval, Cat Surgeon, Robocat, Sand Cat, Snow Leopard, Fairy Tail, Power Panther and Catsear! We have revealed 9 new cards! Check out Krosp, Sourpuss, Bewitched Bobcat, Bay Cat, Cheetah, Tiger Lily, Phishing, Roaring Lion and The Purrfect Storm! We have revealed 5 new cards! Check out the Puma, Pallas' Cat, Lunar Lioness, Jaguar and Sabertooth Tiger!